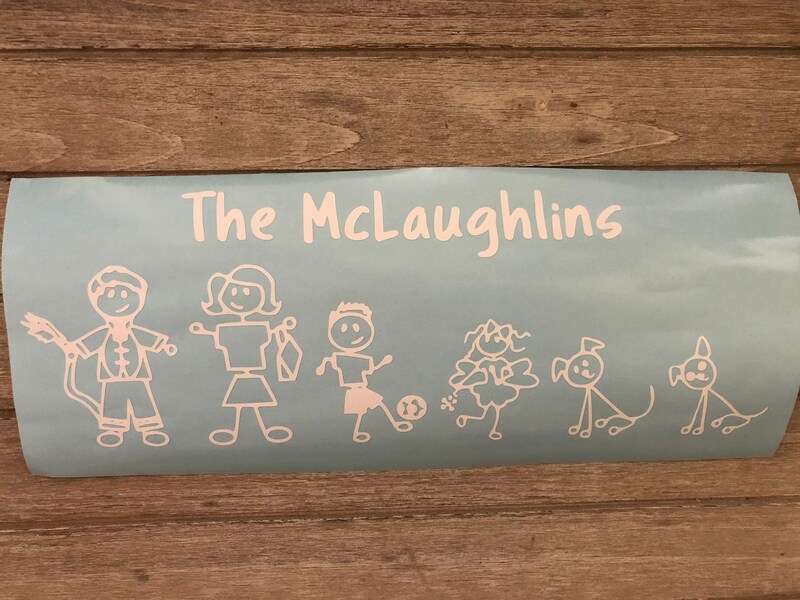 This listing is for a set of 5 family members decal / sticker as pictured. 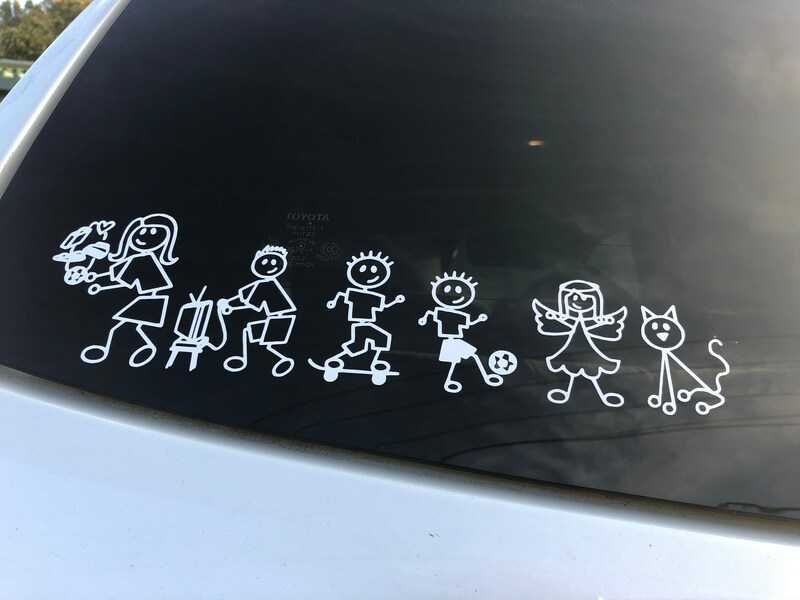 This decal consists of mummy, brother, brother, brother, sister and cat. See other listings for different options. The price is for one decal / sticker set only. Available in White. Other colours available on request. High grade premium outdoor vinyl used on all orders.